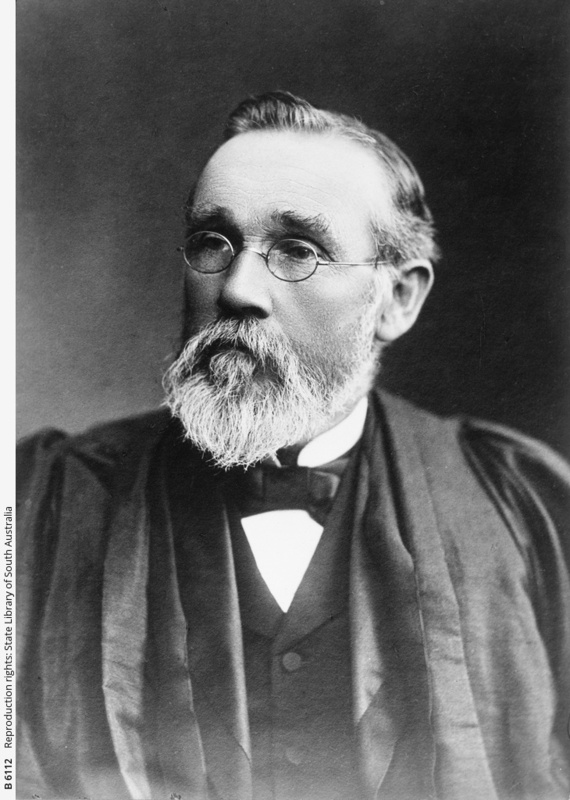 Professor Walter Howchin, geologist and methodist clergyman. In 1901-23 he was governor of the Public Library, Museum and Art Gallery and honorary palaeontologist to the museum. Short, with a white beard, in old age he still searched in the field for geology speciments. Several fossils were named after him. Buried in Mitcham cemetery. He contributed a chapter on the geology of the Morpeth district to Wilson's Handbook to Morpeth and Neighbourhood, 1876.